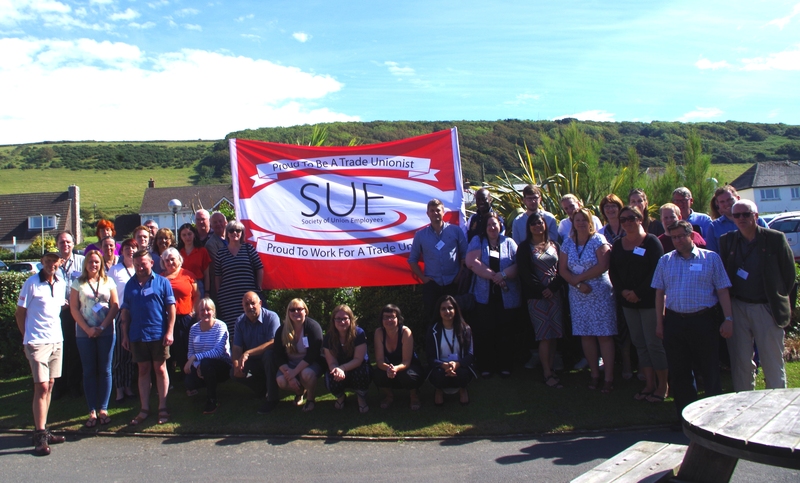 SUE’s 29th National Conference was held at the UNISON Holiday Village at Croyde Bay on 4th July -5th July 2017. It was the last Conference presided over by Glyn Jones who stood down as President of SUE after 9 years. He has handed over to Jocelyn Pettitt-Rose, Branch Secretary of the East Midlands Branch who was elected unopposed. Conference dealt with a number of motions as well as holding workshops on Developing a Pay Strategy, The Future for Admin & Clerical Staff and Organising Branch Employed Staff.